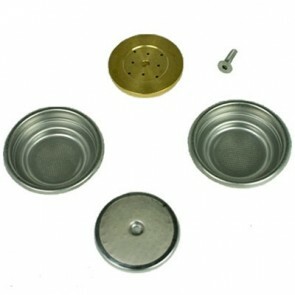 You have the right espresso machine and now you need just the right filter basket to customize your coffee experience. Whether the portafilter or the basket is pressurized or non-pressurized, we have compatible single, double, triple or pod filter baskets. Have a bottomless portafilter? We can set you up with a basket for that as well. 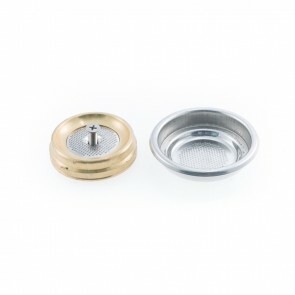 These portafilter baskets are not one size fits all so double check your diameter in millimeters, and the height and filter basket shape make a difference too. Then review compatible brands in the product description to find the best fit for your espresso machine. What's the Difference Between Portafilters? How Do You Dial in a Shot with a Pressurized Portafilter?